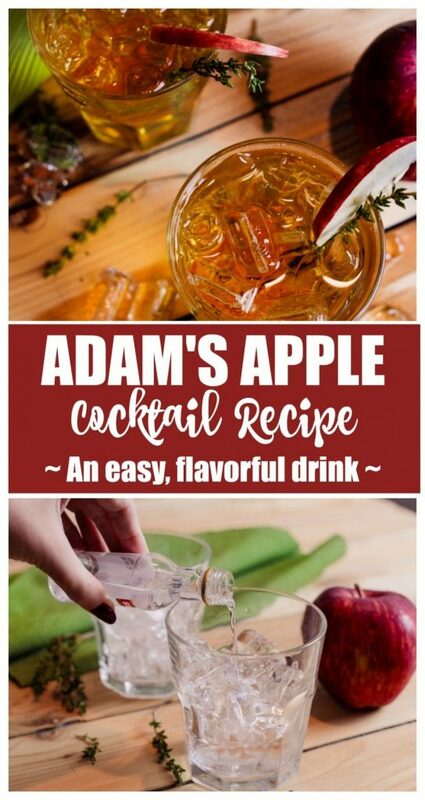 If you were to do a search for an Adam’s Apple Cocktail recipe, all kinds of different concoctions would come up. 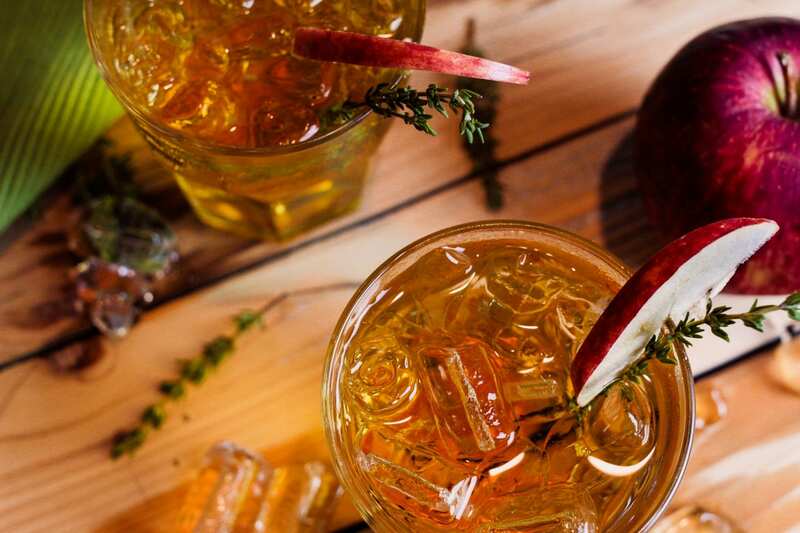 From just ice, vodka and apple juice or apple juice and beer or even an orange flavored version where you add some orange liqueur. 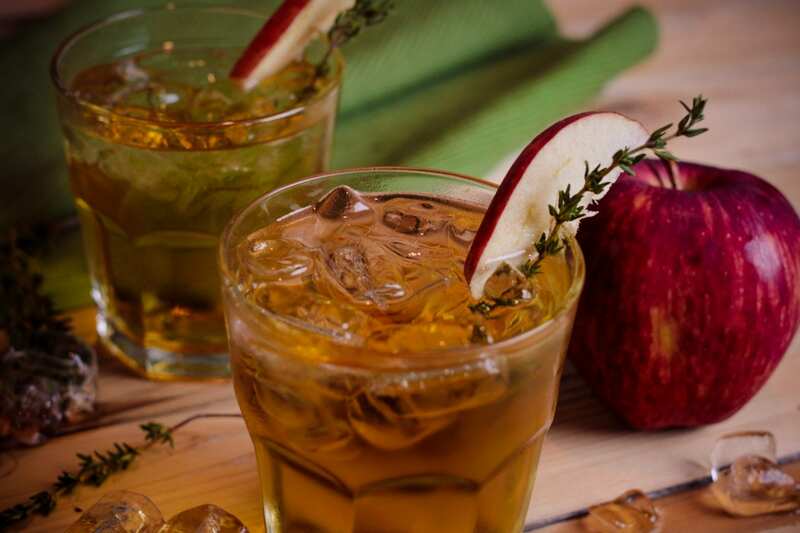 Needless to say, they all share one common ingredient – apple juice. 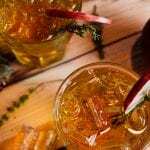 Since I’m not much of a beer fan, except in this margarita recipe, I decided to go with the simple, yet tasty version that has a splash of ginger ale and vodka. If you’re new to cocktails and are having friends over, this is incredibly easy to make. 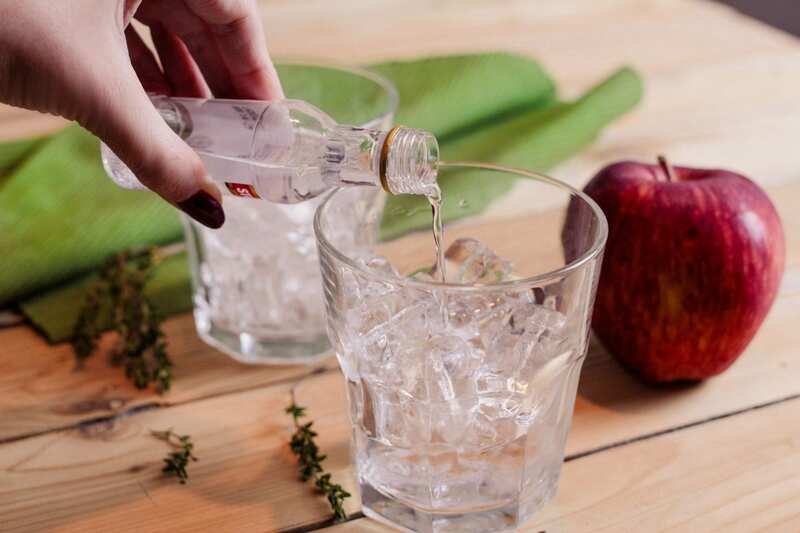 You fill a cup with ice (be sure to get the round ice from the convenient store) and pour the ingredients one by one straight into the glass. No shaking or fancy work involved. Put a sprig of thyme in the glass and an apple slice if you so desire and voila, a fancy looking cocktail. 2. Pour in 1 oz. of vodka. 3. Pour in 2 oz. of ginger ale. 4. Pour in 2 oz. of apple juice. 5. Add a sprig of thyme and a slice of apple. 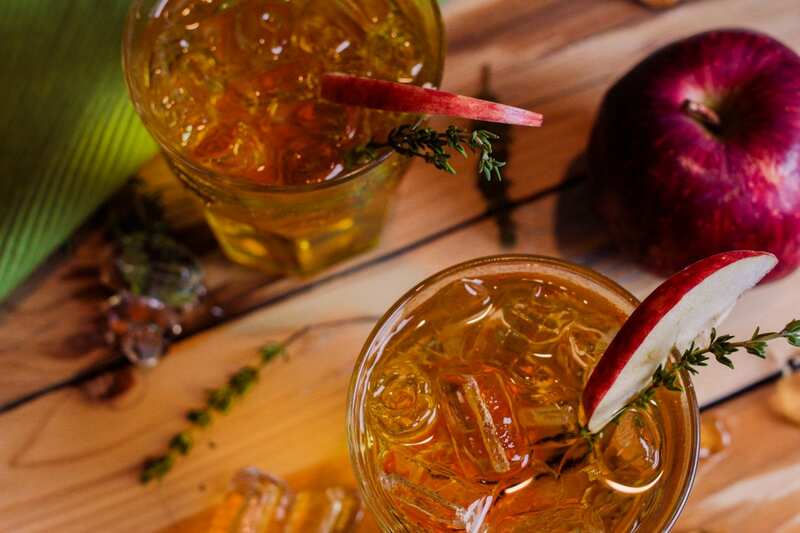 An easy and flavorful fall cocktail recipe with apple juice, ginger ale and vodka.